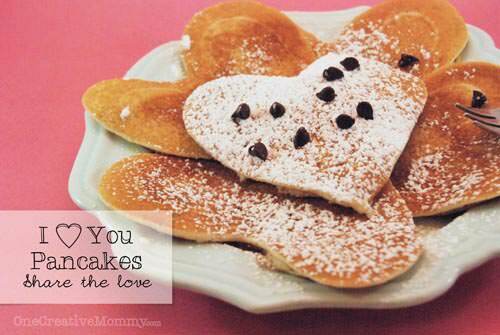 Celebrate all day with these healthy breakfast, lunch, snack and dinner recipes for kids! 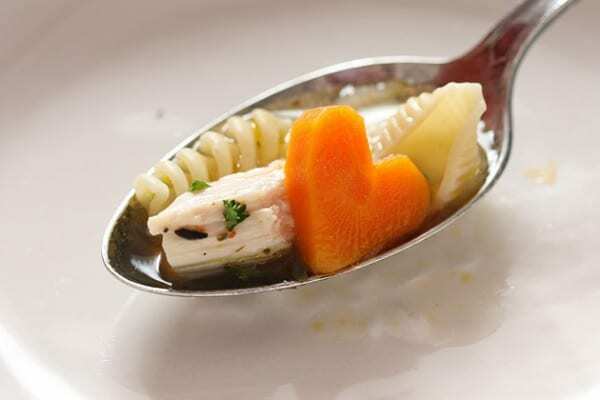 With no shortage of sweets available for Valentine’s Day, think about some ways to add a little fun to your kids’ meals with this roundup of Healthy Valentine Food for Kids. I’m not the kind of mom to do Bento-style lunches, but I am willing to wield a heart-shaped cookie cutter to celebrate this weekend. I’ve found the easiest ways to add some hearts & love to their day. 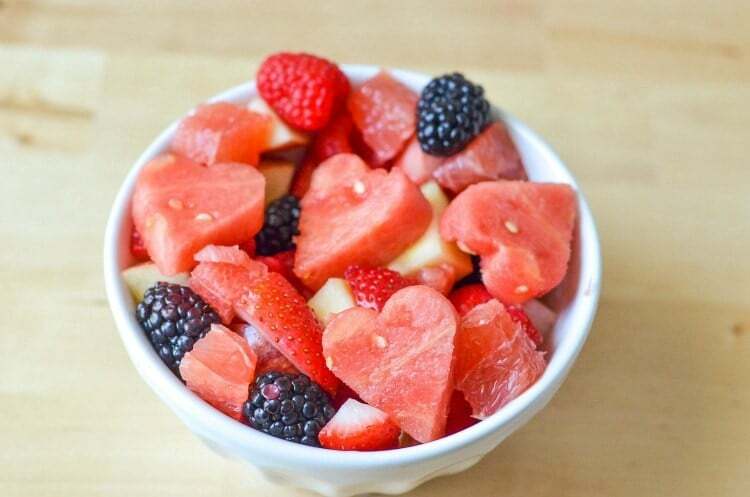 Let’s start with breakfast, then move on to fun food for lunch and dinner! This post includes affiliate links. Thanks for supporting MoneywiseMoms at no extra cost to you! So easy! 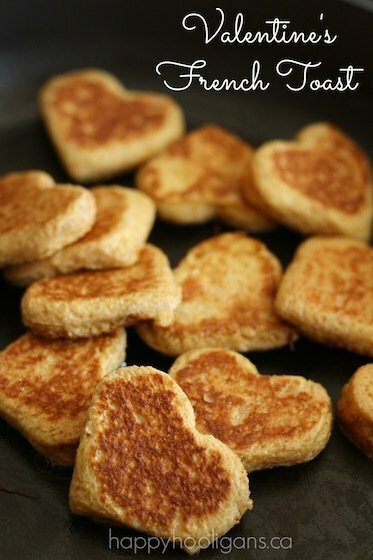 Just cut the bread with a heart cookie cutter before making. She also includes an easy French Toast recipe. 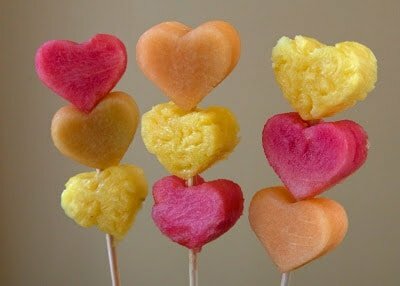 Use those handy cookie cutters on sliced of melon for a fun fruit salad or these cute kebabs. Click through to check out the fun puzzle piece watermelon–the kids will love it! 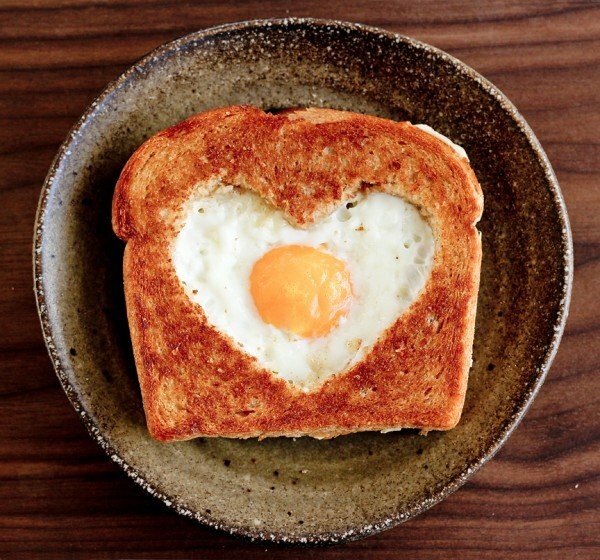 If your kids like sunny-side up eggs, surprise them with this fancy version of breakfast. Such a clever idea! She uses a squeeze bottle to draw and fill in the heart shape (and a Mickey, too!). 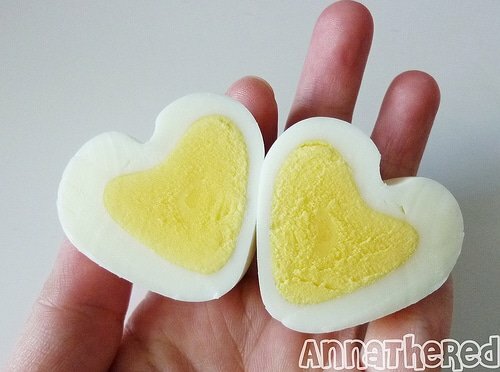 Anna shows an easy way to shape a hard-boiled egg into a heart using cardboard and a chopstick, but there’s also a heart mold you can buy. Courtney shares how to get kids involved in eating healthier by using cookie cutters and their favorite fruits. Pizza is healthy? It can be! When you make your own at home, you control the ingredients, can include whole wheat in the crust, and there’s so much less fat & sodium than delivery pizza. Nancy’s version has ham & Swiss, but you can use whatever ingredients your family enjoys. 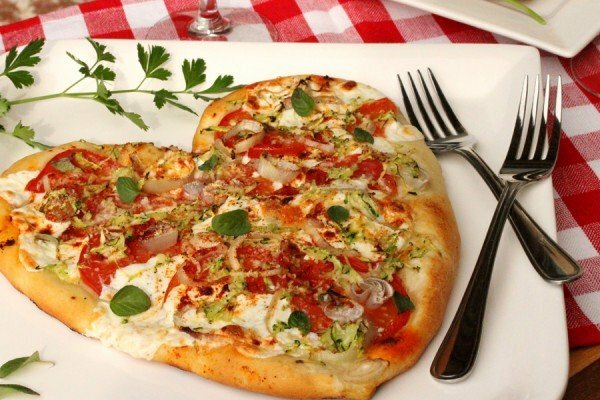 Learn an easy way to create hearts from grape or cherry tomatoes, then set up a veggies & dip appetizer or snack. Cut potatoes and beets into heart shapes before roasting. 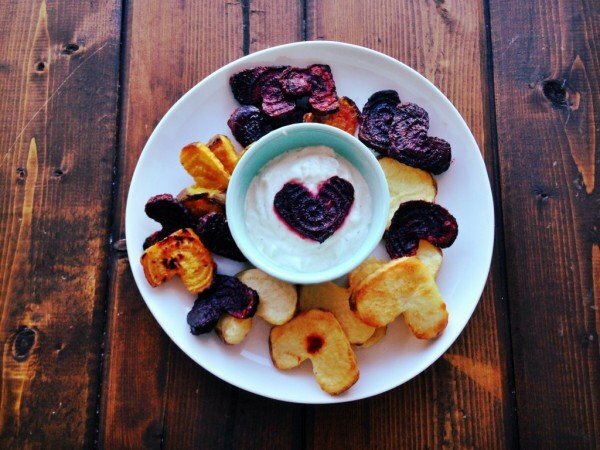 Then serve with Desiree’s Skinny Greek Yogurt Dip. 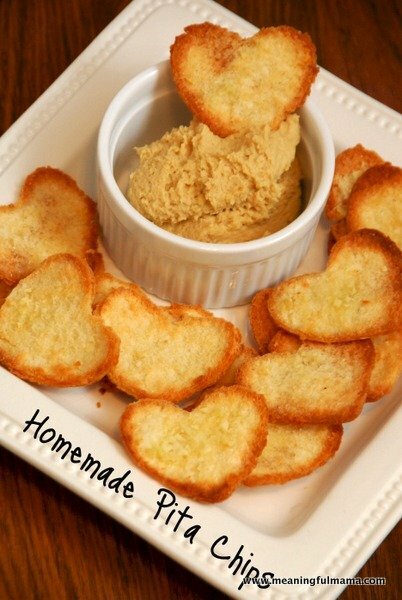 Same idea–open pita breads and use cookie cutters to make the shapes before baking. Then dip into hummus or a healthy dip! 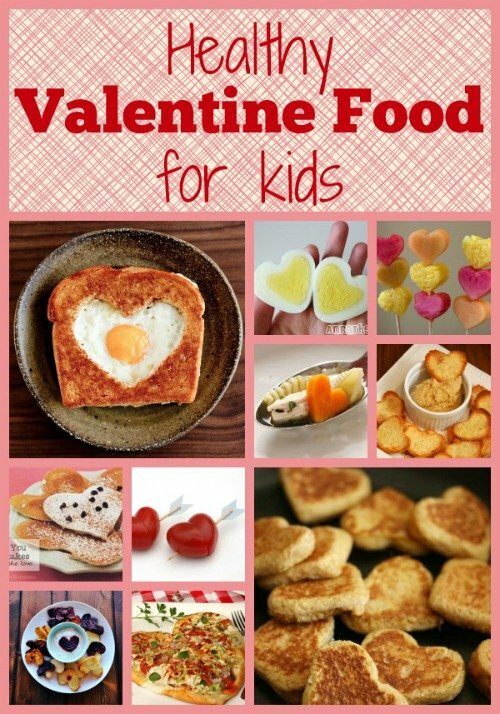 What is your favorite Healthy Valentine Food for Kids? 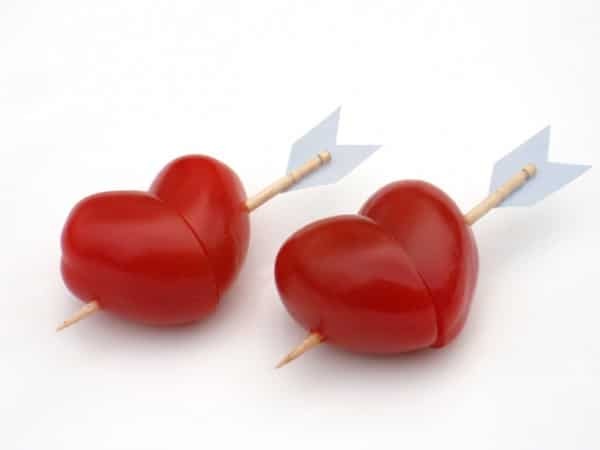 What a great collection of healthy treats for Valentine’s Day! It’s great to see some fun ideas that don’t involve tons of sugar. I love this list! And my kids love toast and eggs made that way. Guess what they’ll be getting for breakfast this Saturday!! I love the fruit kabobs, my kids would totally love those and the french toast. Those are great! My son always enjoys the Egg in a Basket when I make them. Maybe I will dig up the heart shape cutter and surprise him.